I love to cook. Quiet time in the kitchen trying a new recipe, music playing in the background on my iPad, and a wonderful smelling candle burning on the countertop is über relaxing to me. Now, I don’t consider myself a traditional cook. I like attempting more non-traditional recipes. I enjoy the challenge of shopping for ingredients I wouldn’t normally keep in my spice cabinet and recreating the presentation in the recipe picture. Recently, I tried a recipe that would be great for a Sunday afternoon lunch al fresco. 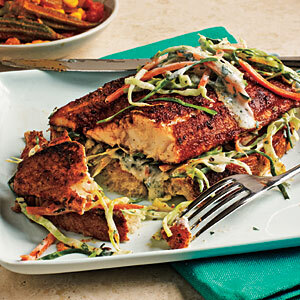 Open-Faced Blackened Catfish Sandwich with Greek Yogurt and Cilantro Coleslaw. fish with paprika mixture. Heat a large cast-iron skillet over high heat. until desired degree of doneness. and 1 fillet. Top each fillet with remaining slaw. Recipe and Image: Cooking Light. The recipe was relatively easy to prepare and a huge hit in my home. But, Sundays wouldn’t be “Champagne Sundays” without the perfect bubbly to pair with your dish. 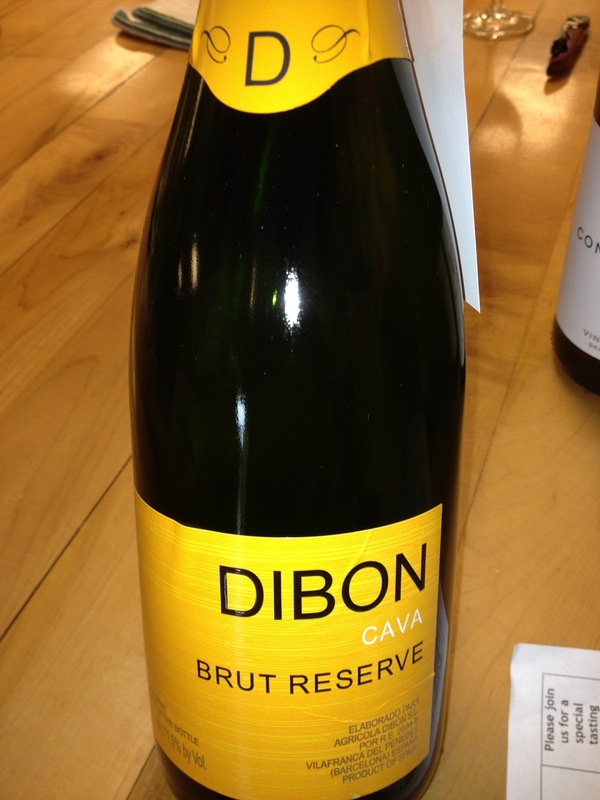 Try this Dibon Cava. It’s an awesome Spanish Wine. We tasted it recently at a local wine bar and have kept it stocked in our bar ever since. Check back next week for a new “Champagne Sunday’s” recipe! Salut! « All Hail the Sun Pt. Deux ~ Friday Quick Post Give Away! Thanks for the great food and spirit tips. I shall indulge! Can’t promise that I’ll look as stylish in the kitchen … lol, but I am eager to try this recipe & wine. Thanks for the fab tips. Yes, you have become your mother and what a great role model she is, a stylish, classy lady. Thanks for your “Pretty” tips. I am eagerly awaiting your next tip.